This handsome round wall plaque for an Attorney's Office is made of copper-coated 2.5 - D carved High-Density-Urethane (HDU). 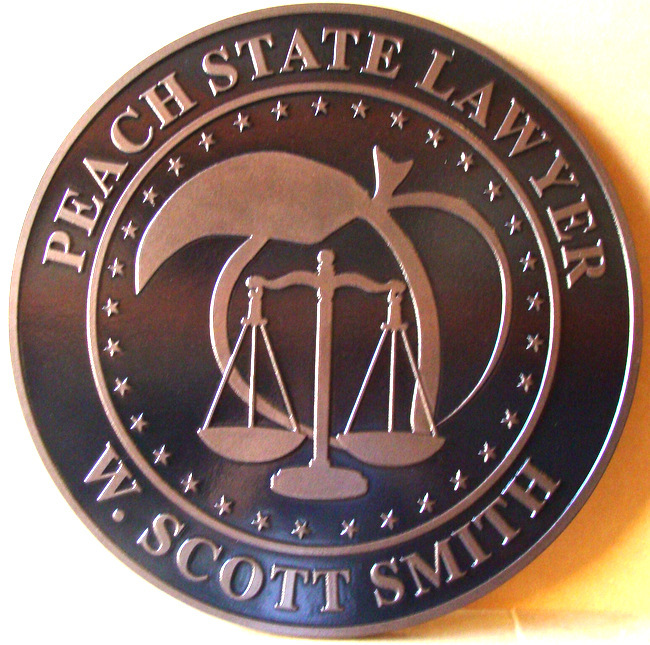 Its text reads for "Peach State Lawyer"( in Georgia), featuring a Peach and Scales of Justice as its artwork. Other design options for a wall plaque of this type are brass, bronze, Nickel-silver (German Silver), aluminum, or stainless steel metal coatings, or 24K gold or fine silver leaf gilding.